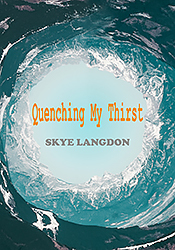 Skye Langdon is the pen name for Gilda Clark. Gilda is a British (Romanian-born) author, currently living in Chester, UK. A keen, dynamic mathematics lecturer, growing a tree of her life, with multiple branches of passions (fine arts, music and writing), intuitive, independent and sensitive to the outside world, with a vivid imagination and adaptability in the face of new challenges. She has a little family, with two children. She uses logic, Abstractionism, embedded in creativity, drawn from mathematics, and her everyday life, to put the words in the right place and create a concoction of new meanings.